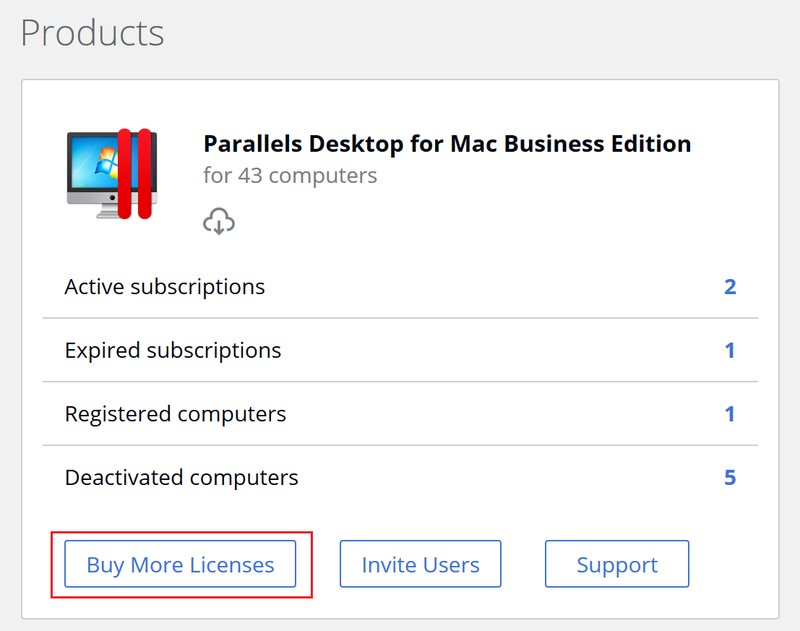 Use the instructions in this article to add more licenses to your existing Parallels product subscription if your company subscription has been purchased via the Parallels online store. 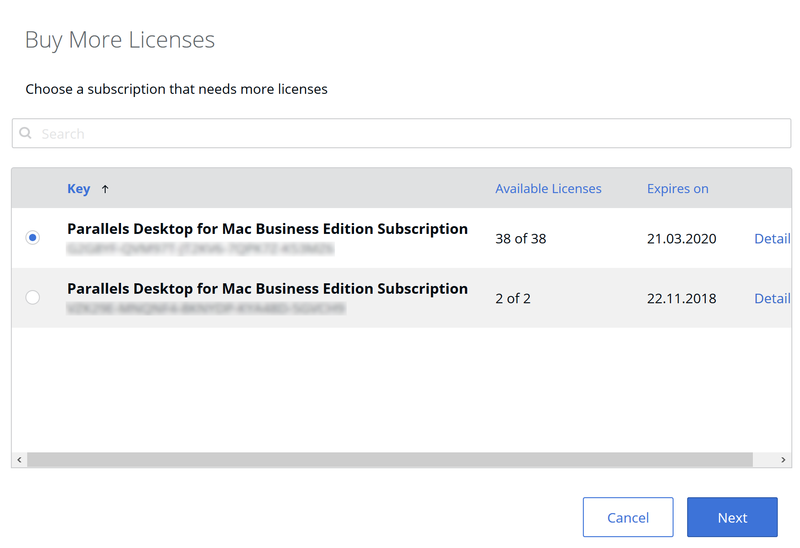 If the subscription has been acquired through a Parallels Sales representative or Parallels reseller, contact them to get more licenses in your contract. 1. Open the Dashboard of your Parallels account. 2. Click on Buy More Licenses under the product in question. 3. Select the subscription that needs more licenses and click Next. 4. Specify the new number of product licenses in the subscription. Tip: When you specify a new total amount of the product licenses, you can see the additional charge for using the additional licenses in the current billing period, which is payable at the moment of upgrade, and the new total subscription amount (the renewal fee) based on the new number of license, which is due on the next billing date. 5. When the new total number of product licenses in the subscription is set, click Pay & Upgrade. If you choose to pay via Pay Pal or a Wire transfer, make sure to complete the payment transaction so you’re able to use the new licenses. The new licenses will become available as soon as the payment system notifies Parallels the transaction has completed.